The new pension freedom rules introduced from 2015 have a profound effect on financial settlements in divorce and separation cases. However, the complexity of pension legislation demands an enhanced level of due diligence which could test the most technically adept members of the legal profession, not to mention their lay clients. For those at or approaching retirement age, the new pension rules will turn previously inaccessible income-bearing assets into cash, but the temptation to use the proceeds to broker a separation could have disastrous irreversible consequences. The most complex legislation surrounds Final Salary pensions of which there are 11 million members in the UK, excluding those in Superannuation. At the last reckoning in April, these schemes were only 67% funded on a wind-up basis, which means that one-third of Cash Equivalent Transfer Values (CETVs) offered by scheme trustees are likely to have been discounted and will not reflect the true value of the preserved benefits. Even if a scheme is fully funded, the CETV will still often be discounted to reflect the likely out-performance of the underlying assets and to protect the benefits of the remaining scheme members. Finally, the bulk-buying annuity deals struck by pension trustees are likely to mean that any CETV is unlikely to purchase the equivalent income in the open market. In the case of company Defined Contribution schemes accumulated pre-A Day (6/4/06), there can exist protect retirement ages (from age 50) and enhanced tax-free lump sums which will be lost on transfer. There is also the distinct possibility that scheme trustees will be unable or unwilling to facilitate pension freedom, especially if the member is still an employee. Personal pensions are not exempt: guaranteed annuity rates, market value reductions on with-profits funds and transfer penalties on some commission-based schemes mean that an early exit could have punitive consequences. The other main areas of concern revolve around the tax consequences of liberating pension monies and the effect on state benefits. Barring the tax-free lump sum, all other withdrawals from a pension are taxed as income. Therefore, a significant withdrawal could attract income tax at a higher rate than the relief on the original contribution, especially where the total income for the year exceeds £100,000, resulting in the loss of a personal allowance. A withdrawal that pushes income over £50,000 in a tax year will cause the loss of Child Benefit. 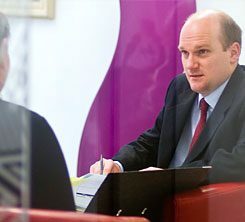 The final matter to be aware of is if a client uses the new rules to access a lump sum from their pension, their annual allowance could be reduced from the current £40,000 to £10,000, which will have a significant effect on their ability to place future monies into a tax-advantaged wrapper. So, whilst pension freedom will be seen by some to be the new panacea in resolution, the interest of the client will rarely be served without a new level of due diligence and plain English advice from a fully qualified professional. “Cannot thank you enough for all the advice and support given”.